Valletta mayor Alexiei Dingli has ruled that a motion to remove the makeshift memorial to the slain blogger Daphne Caruana Galizia was inadmissable, as the council had no jurisdiction over the Great Siege memorial. 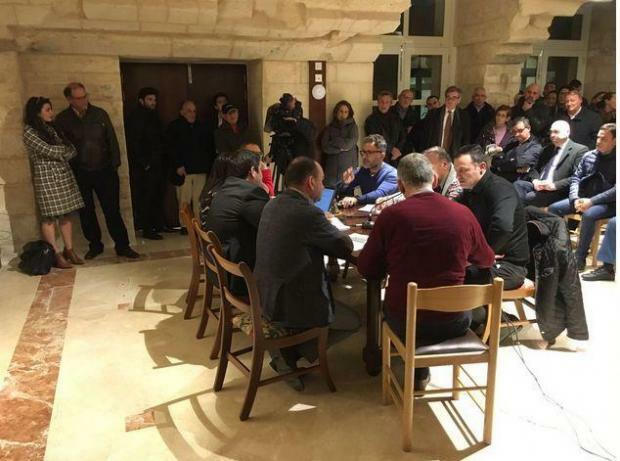 The rowdy meeting on Tuesday evening was packed, with 12 speakers allowed to make interventions, including widower Peter Caruana Galizia, although there were constant interruptions. Photos, candles and flowers have been piling up against the Great Siege monument opposite the law courts since last October as her supporters sought a way to show their sorrow - but others feel that a national monument is not the appropriate place for this. Things escalated after a woman appeared to take matters into her own hands and seemed to be clearing up the site. The Civil Society Network is in the process of formally applying for a memorial to Ms Caruana Galizia in Great Siege Square but in the meantime, Valletta councillor Ray Azzopardi presented a motion on its removal. Attending the meeting were also MEP David Casa, and MPs Marlene Farrugia and Godfrey Farrugia, but the audience was fairly evenly split between those for and against the motion.